For many of us, managing our finances and building economic security is a nagging concern. We know we should be making greater strides in taking control of our money matters, but nothing changes. What keeps us from achieving the financial peace and satisfaction we desire? 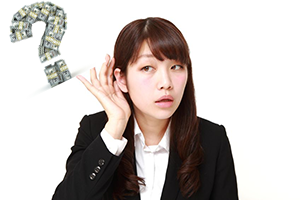 One of the main obstacles to financial freedom is listening to the wrong money messages. Our attitudes and beliefs about money have their roots in the value-laden messages we have picked up along life’s journey. These money messages are not only clothed in the words of others, but in their behaviors as well. However, these revelations are not intended to give you the opportunity to place blame, but rather to help you recognize potential obstacles to your financial well-being. Remember, awareness is the first step to change! Starting with your childhood, what experiences have shaped your underlying beliefs and attitudes about money? What were you taught about money when you were growing up? In your family, was money an issue, a source of conflict, a reward, or a tool for achieving goals? When did you first start spending money? How did that make you feel? In your past, has money been a source of conflict in your important relationships? As an adult, what was the most important lesson you learned about money? What money habits have been obstacles to reaching your life goals? What money habits have brought you closer to your life goals? What do your patterns of earning, saving, investing, and giving reveal about the money messages that have influenced you? In summary, to discover the roots of your financial attitudes and actions (or inaction! ), look first to your past experiences. A review of your financial history will give you tremendous insight into the money messages that consciously and unconsciously influence how you deal with money on a day-to-day basis.